Notre Dame School in Churchtown caters for about 250 girls. The primary school will close next year. AN ALL-GIRLS private school in south Dublin is to close due to a lack of funding and outstanding debts. Notre Dame School operates at both primary and secondary levels on Churchtown Road in Churchtown and currently caters for about 250 students. The Notre Dame Schools Trust Ltd has run the school for the past decade but now says that the “difficult decision” has been taken to close. The primary school will close at the end of this academic year in June 2017 while the secondary school will continue to operate until June 2019. This is to ensure that the students currently in their Junior or Senior cycles will be able to finish them in the school. The Catholic school was founded by the Notre Dame des Missions Sisters in the 1950s but the involvement of the religious order ended over a decade ago. The school had continued on a private fee-paying basis but that model had become unsustainable. The Department of Education has acquired the Notre Dame campus will used it for school purposes in the future. A request has been made of the department for further details on this arrangement. The Notre Dame Schools Trust Ltd has reached this difficult decision as insufficient income is being generated to meet the schools’ commitments to repaying loans/mortgage, ever increasing operating costs and the need for significant investment in the infrastructure.Despite so much dedication and effort on everyone’s part the situation facing the schools was insurmountable under the current model. The school’s trust also told parents that teachers and staff will continue to “work tirelessly” during the three-year wind down period. Teachers employed at the school are employed either privately or through the Department of Education and it’s believed that teachers employed through the department will be moved elsewhere. The school’s trust has said that it will work with the parents’ association on any questions they may have over the coming days and weeks but that no meetings have yet been formally scheduled. 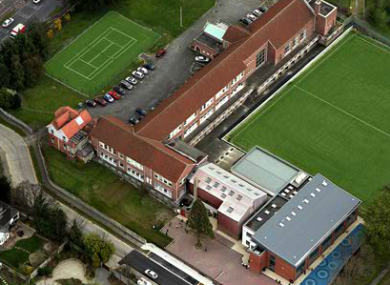 Email “Private girls' school in south Dublin set to close over debts and 'ever increasing' costs”. Feedback on “Private girls' school in south Dublin set to close over debts and 'ever increasing' costs”.